Certificates must be ordered in person by someone authorized to do so as indicated on the second page of the application form. Identification must be shown. The new Alberta birth certificate is a primary piece of identification that may be ordered for anyone born in Alberta. A death certificate is a record issued for a deceased person. An Alberta marriage certificate provides proof of the marriage of two individuals within Alberta. A Marriage Licence is a document authorizing two individuals to marry in Alberta within 90 days of the date of issue. Requirements: You must apply in person. Both parties must have acceptable identification and, if applicable, a final divorce certificate. A legal name change changes given or surnames by replacing, adding or removing a name. Please come into our office for the required booklet should you wish to do this. Additional information about motor vehicle services may be found here. Staff at Abbey Road Registries Ltd. are able to commission many documents. Please note that all documents must be completed but are not to be signed until commissioned. Requirements: Completed documents, acceptable identification such as a driver’s licence or passport. You can renew your vehicle registration, transfer your plate or register a new vehicle at Abbey Road Registries Ltd. When you move to Alberta, you must register your vehicle within 90 days. However, if you are a permanent resident outside of Alberta and working in Alberta, then there is a maximum 183 day limit before vehicle registration becomes mandatory. See Request for Inspection. Requirements: Proof of ownership, New Vehicle Information Statement (NVIS) if brand new, insurance, identification, and, if the vehicle was last registered other than in Alberta, an out of province inspection, and, if imported, federal Form 1. There are seven different classes of driver’s licences. You can renew your licence, apply for a duplicate if you have changed your address or lost your licence, or exchange your out-of province licence. We offer knowledge tests for all classes and road tests for classes 4, 5, and 6. Requirements: Please see the Alberta government’s website for complete information. An ID Card can be issued to any Alberta resident 12 years of age or older who does not have a current driver’s licence. It is used as a primary form of government issued photo identification, and is proof of Alberta residency. Requirements: See Service Alberta’s website. An abstract shows one’s driving history within Alberta for 3, 5 or 10 years. 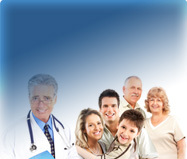 It may be needed if you are moving to a new jurisdiction, applying for a job or changing insurance companies. Professional drivers may choose to have a Commercial Driver Abstract issued instead. Requirements: You must apply in person and will need your licence. See Service Alberta’s website for procedures if you are living out of province. A Disabled Placard is issued to a person who is unable to walk over 50 metres due to disability. With a disabled placard, a vehicle may be parked in designated areas while the disabled person is out of the vehicle. Requirements: Bring in your application completed by a doctor or physical or occupational therapist, along with your licence or identification card. We can process current fines (bring in the fine notice before it is due) and overdue fines (these appear on your file and must be paid before operator and vehicle services can be processed). Please note that a service charge is applicable if fines are paid through a registry agent rather than at a courthouse. Requirements: Original of current fine, or driver’s licence for overdue fines. Requirements: See Service Alberta website. An in-transit permit is required if an unregistered vehicle is travelling or being moved within Canada, originating from or coming into Alberta. They may also be issued for insured but unregistered vehicles requiring servicing. Requirements: Insurance, identification, and, if travelling out of the province, proof of ownership. A personalized licence plate holds up to seven numbers or letters. Requirements: Come in with your identification to order these, which will be mailed out to you. A vehicle information report shows the status of an Alberta vehicle, registration history and the number of liens. 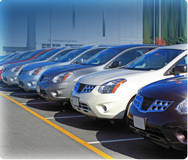 Vehicles last registered in a jurisdiction other than Alberta require an out-of-province inspection before being registered. Vehicles with a “salvage” status must undergo an inspection before they can be registered as “rebuilt”. Requirements: Out of Province: Proof of ownership, federal Form 1 if not previously registered in Canada. Documents such as mortgages registered against a property can be printed while you wait. Land title searches list the registered owner(s) of the property and documents such as mortgages and caveats registered against the property. Requirements: Legal land description (we can obtain legals for addresses in Edmonton, St. Albert and some other municipalities for an extra charge). Lien searches show liens registered against a person, business or vehicle. Requirements: Name of person or company, or vehicle identification number. Personal property registrations such as security agreements and garage keepers liens are registered at the personal property registry to show the creditor’s interest in the debtor’s property. 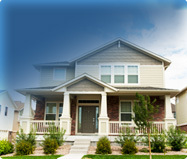 Requirements: Completed Financing Statement/Garage Keeper’s Lien Form. Liens may be amended, renewed or discharged by the creditor/secured party. Writs are filed in court and then registered at PPR. Requirements: Filed writ stamped by the court. We register Alberta named and numbered corporations. An Alberta based NUANS report is required if you want to incorporate a named corporation. Requirements: Articles of Incorporation, Notice of Address, Notice of Directors, identification. Trade names and partnerships register the fact that individual(s) or corporation(s) are carrying on business under a name other than their own. Requirements: Declaration of Trade Name/Partnership, identification. A corporate search provides a summary of information including a corporation’s address and the names and addresses of all directors and shareholders reported to Corporate Registry. Trade names and partnerships may also be searched and list the owner or partners and their addresses as well as the line of business the company is in. Historical corporate searches list company information as of a historical date. Requirements: Name of corporation, trade name or partnership. You may change your named corporation’s name to a numbered name or another name, and a numbered corporation to a named corporation. Requirements: NUANS if changing to a named corporation, Articles of Amendment form. Sometimes referred to as “certificates of good standing” or “certificates of compliance” a certificate of status provides the status, for example, “active” of your corporation. Historical certificates of status are also available. Annual returns are required by the government of Alberta for Alberta and extra-provincial corporations. You will receive the form by mail before your anniversary month. Requirements: Completed annual return form and identification. Notice Filing: We can file changes of address for directors and corporations, as well as changes of directors, and, for extra-provincial corporations, change of attorney. If you are registered federally or in another province, you are required to register your corporation in Alberta as well if you are carrying on business here. We can assist you if you wish to continue your Alberta corporation out of the province, or wish to continue your out of province corporation into Alberta. If your corporation has been voluntarily dissolved or struck by the government for failure to file two annual returns, your corporation must be revived if you wish to continue to carry on business in the province. Requirements: Articles of Revival, Annual Returns for each year that was not filed, and, if applicable, Notice of Address and/or Notice of Director’s Address. A corporate seal is a desk seal used to imprint documents with a company’s name. A minute book is a binder with documents including the certificate of incorporation, share certificates, by-laws and ledgers prepared upon incorporation. 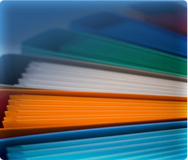 We can prepare your minute book upon incorporation, and also sell the binder with inserts should you wish to prepare your own. Requirements: Incorporation documents, information on initial shareholders. A NUANS report (newly upgraded automated name search) compares a proposed name to pre-existing corporate names and trademarks for similar names. An Alberta NUANS reserves the name for 90 days. An Alberta trade name NUANS is optional, but suggested, for trade names and partnerships, and will list similar names to be considered before registration. 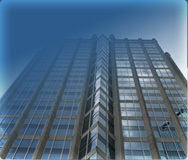 We also provide reservations for federal corporations and other provinces and territories. We will pre-screen your proposed name to check that it is likely to be available before running the report.